My friends often think I've lost my mind given how many times I run speedtests on handsets in the process of reviewing them. The reason I'm compulsive about testing cellular network throughput and conditions is because it's massively important to both the overall smartphone experience - remove the cellular connection, and you've got a very expensive personal media player at best. We've taken a good look at Verizon's 4G LTE a number of times, however we haven't yet given AT&T's LTE the same treatment, though it's coming soon. 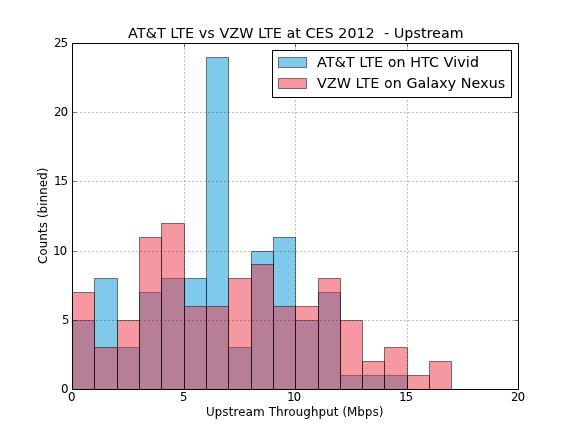 We're wrapping up CES 2012 in Las Vegas, and the whole time I've been obsessively running throughput tests using Ookla's speedtest.net application on an HTC Vivid and CDMA/LTE Galaxy Nexus, two UE Category 3 devices on AT&T and Verizon Wireless LTE, respectively. 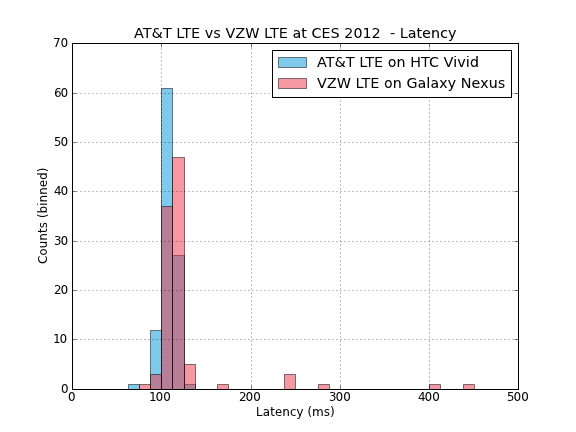 I thought it worth sharing how AT&T LTE has stacked up next to Verizon Wireless 4G LTE during CES thus far. I've been running tests on both phones at the same time in both the Las Vegas Convention Center and Venetian CES venues in between meetings, as well as up and down The Strip during the convention. This isn't meant to be super scientific, but gives a decently fair gauge for how things have performed thus far. The data ends up being pretty intriguing, and neither network honestly comes out dramatically ahead of the other. 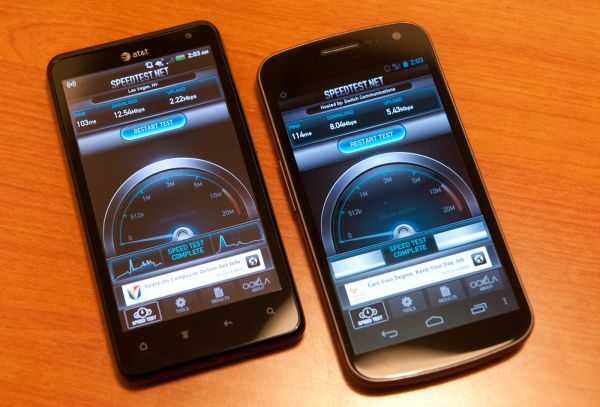 This isn't surprising considering both are running 10 MHz FDD-LTE on the 700 MHz band right now. AT&T also can deploy a 5 MHz FDD-LTE carrier on AWS in Las Vegas, though I'm not sure it is currently lit up, and can't check if it's in use on the HTC Vivid like I can the Samsung Skyrocket. 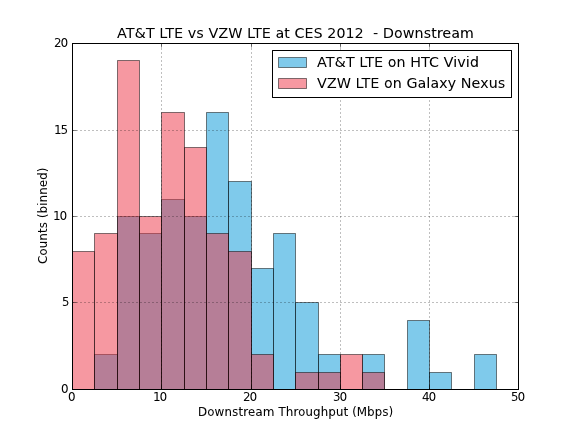 AT&T LTE posted better downstream numbers than VZW LTE overall and came in with a higher maximum throughput of just over 44 Mbps down, but is admittedly nowhere near as loaded with devices as Verizon's year-old 4G LTE network.